Launch high-impact email campaigns with our simple yet powerful newsletter tool. Create and send professional newsletters, manage your contacts and track performance in real-time. Are you looking to quickly and easily create your own professional email campaigns? It’s well worth it: Email marketing is the most profitable marketing tool available. Not only that, it’s also the only channel you own completely. No algorithm updates will ever take your newsletter subscribers away from you. With our email marketing software, you can launch personalized, powerful campaigns. Our high-performance freemium newsletter tool has everything you need. Create, send and track your marketing mailings. How Does the Newsletter Tool Work? Our tool for sending newsletters is extremely user-friendly. Use our intuitive drag-and-drop editor to create your own campaigns in minutes. Thanks to the high-performance newsletter editor, you can create your newsletter in a few clicks. The newsletter can be modified and personalized according to your needs. And you need zero HTML experience to create a beautiful mailing. We support you with our predefined design elements and templates. But we also give you the freedom to customize the layout, save your own templates and store your own images. You can also insert your own dynamic unsubscribe link, use the 1-click product transfer feature and integrate your own legal imprint. The contact management function offers you diverse possibilities for sorting and segmenting recipients. You can important recipients from a file, sync via a plug-in or collect via a sign-up form. When sending newsletters, we ensure that your newsletter reaches the right recipient at the right time. The emails travel over whitelisted servers, ensuring a 99% delivery rate. Your emails will arrive on time: guaranteed. The newsletter tool contains powerful analysis tools, so you can be constantly improving. You’ll get insights into how your campaign performs in real time and have the chance to run A/B tests to optimize your email marketing performance. 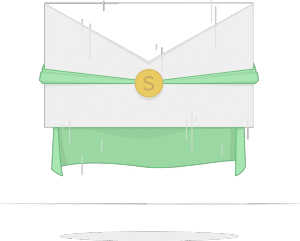 We’re on a mission to improve email marketing everywhere, which is why we created Credit Paybacks. Credit Paybacks reward clients for high-performing mailings. That’s right – the better your campaign performs, the cheaper it is for you to send more. You can use several different functions when designing the layout of your newsletter. You can also choose from 30+ high-quality free templates we’ve already created. All our templates incorporate responsive design. 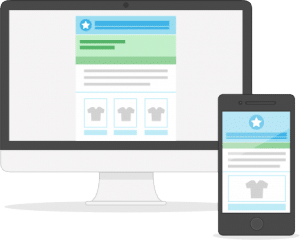 This means your newsletter will look great on whichever device your contacts are using: desktop, tablet or mobile. The text design elements reflect the editing functions of Microsoft Word. And you have full control over the text size, color and style. You can upload your own images and store them in your media library or you can use our Unsplash integration. This integration lets you browse over a half million gorgeous, royalty-free photographs directly from our editor tool. Are you ready to make things easier for yourself? Our 1-click product transfer lets you automatically import your e-commerce products into a newsletter. But that’s not all we have to offer! 1-click content transfer lets you instantly import content from CMS platforms, including WordPress, into your newsletter. You’re also on the safe side, legally, with us. To ensure your newsletter complies with international data privacy laws, we offer automatic unsubscribe management. You can also import your company’s contact and legal information to include in every email. 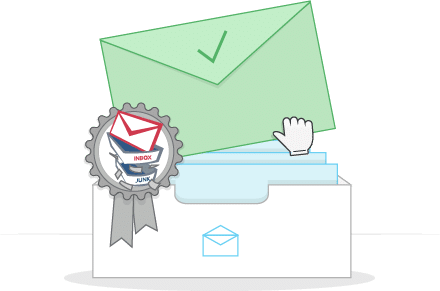 Our automated mailing tools guarantee our software will work hard for you while you’re busy with other tasks. 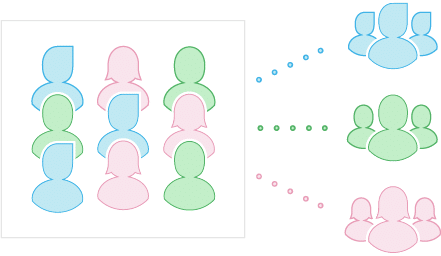 With lifcycle campaigns, birthday campaigns and retargeting, you can facilitate closer customer contact, reactivate lapsed users and drive your ROI. Managing your contacts effectively is crucial for successful email marketing. Contacts are your biggest asset. After all, you own this channel. No algorithims update or penalties will ever take your subscribers away from you. 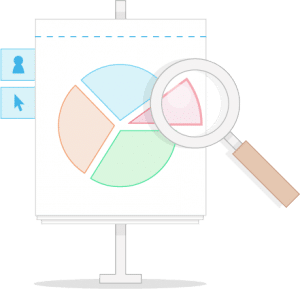 Our tool will automate contact management, save you time and give you the right reporting to understand what’s working and what’s not. Contact lists can be easily imported using Excel or CSV files. Alternatively, you can use one of the many e-commerce plug-ins to automatically sync your recipients. No further manual entry is required if you use this option. We also provide a secure double opt-in registration form. Use this form to grow your contact lists, and you’ll be complying with European data protection laws. You’ll also have a cleaner list with subscribers who truly want to be there. And no chances of having a list populated with spam traps. 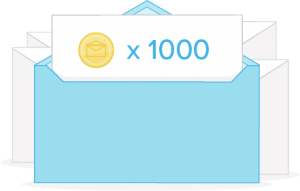 As soon as you’ve imported your recipients, you have the option to send them another double opt-in, if you choose. Then you can quickly divide them into segments. Search for similar attributes by which to group them. Auto-update groups create and edit lists based on criteria you select. All the data you import with your recipients can function as attributes within the segments. 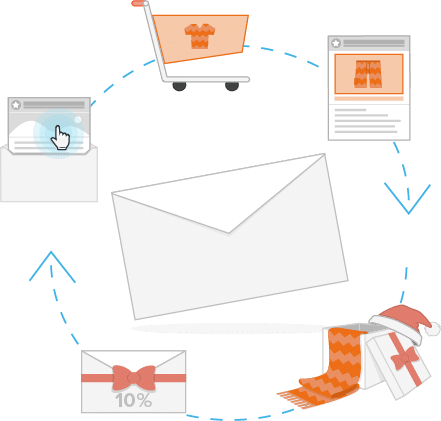 This means you can automatically divide your recipients into smaller categories, allowing the creation of custom, precisely targeted email marketing campaigns. 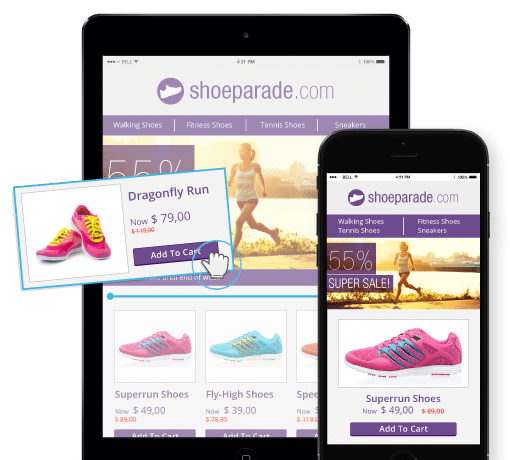 Learn more about our e-commerce newsletter software. The delivery rate for sent newsletters is the decisive factor in an email marketing campaign’s success. It doesn’t matter how great the actual newsletter looks if it never makes it to the inbox because it gets marked as spam. At Newsletter2Go, we make email deliverability a top priority. All of your emails are sent via Newsletter2Go’s whitelisted servers. This means they pass easily through server gateway filters – to land in your contacts’ inboxes. You can also check your newsletter before you send it using our spam check tool. Thanks to these tools, Newsletter2Go offers a delivery rate of over 99% – all across the world! Learn how to increase your delivery rate with Newsletter2Go AND boost your conversion rate. If you want long-term success, then you need to be continually tracking and improving your email marketing campaigns. The Newsletter2Go newsletter tool makes measuring campaigns easy. Our software automatically analyzes delivery and open rates, as well as clicks and other important statistics. Our newsletter tool offers you powerful, detailed tools to track and analyze your email marketing campaign in real time. Use the analysis to improve newsletter performance and understand in detail what’s working. And what you can improve. Tip: You can use the heat map to determine where your recipients clicked, so you know which content was most effective. Place the catchiest content “above the fold” – i.e., in the uppermost section of the newsletter that the reader will see first. This can boost conversion rates and increases the overall effectiveness of the newsletter. Want more tips? Sign up for our email marketing newsletter! The short version? Save time and increase revenue with our email marketing tool! Time-consuming manual input is kept to an absolute minimum. A tool for everyone: Our newsletter tool gives you access to sophisticated functions and features. Create professional email marketing campaigns with it. From effortlessly creating newsletters to efficient delivery and real-time analysis – everything in one software program. You won’t ever need any other tools. Additionally, our free starter package gives you access to key functions and lets you send 1,000 emails a month for free. 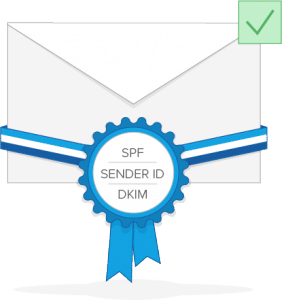 Immediate and secure delivery: The newsletter tool is built especially for mass email delivery and can dispatch high volumes quickly and securely. Our servers can process up to 3 million emails per hour. Your newsletters are immediately delivered without delay. All emails are sent via whitelisted servers, ensuring that the right email is delivered to the right person at the right time. Summary: With the Newsletter2Go newsletter tool, you can save valuable time and resources. Create and send professional email campaigns in minutes. Develop a long-term strategy for engaging your customers. You have access to more than 30+ free templates that you can adapt to your individual needs. We can also create a custom newsletter template together with you using your own corporate design, brands and logos. All templates have been extensively tested across all major email platforms (Gmail, Hotmail, Outlook, GMX, etc.) to ensure consistent display. You know that you are on the safe side and that your emails will always display exactly how you want them to. With our drag-and-drop editor, your creativity knows no bounds. 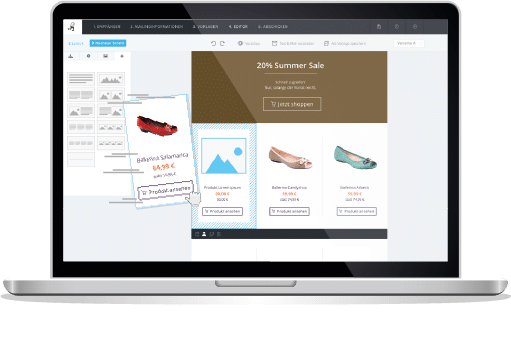 The newsletter tool enables you to create professional email marketing campaigns without prior knowledge of HTML or PHP. 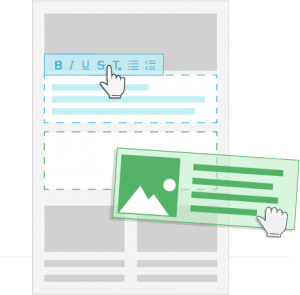 Use the design element tools in the newsletter editor to build your newsletter exactly how you want it. Create exciting newsletter designs that are automatically optimized for mobile devices. The newsletter service is available to you all day, every day – for free. In contrast to certain open-source and full-price software, you will never need to download anything. Use the software directly in the browser – anytime, anywhere. Your Newsletter2Go software is always up to date. 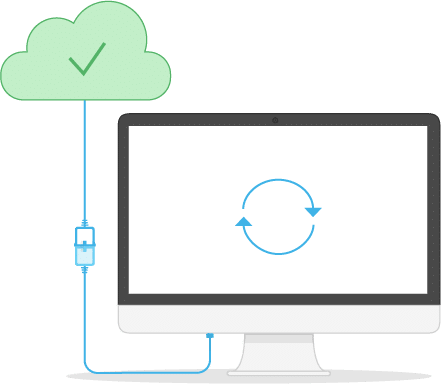 You don’t need to worry about manually downloading updates because we are continually improving the software and adding useful functions. This includes both synchronizations in the sending function as well as newly added systems. These updates are always free for you to use. The newsletter tool offers a range of whitelisting and certification functions. Newsletter2Go is certified by CSA and ISIPP SuretyMail. Your marketing campaigns are always sent over secure and reliable servers. They avoid spam filters and land directly in recipients’ inboxes. By using Newsletter2Go software, you are automatically listed as a trusted sender by email providers. It’s worth it: More than 99% of Newsletter2Go’s messages are successfully delivered. With our email marketing tool, you can be sure that your emails will almost never be blocked by spam filters or blacklists. Data security is our highest priority. All data stored on our servers complies with German data security standards. The entire newsletter tool fulfills the requirements of the German Data Security Law and the European General Data Protection Regulation (GDPR). We never share recipient data. And we encourage all our users to sign a data-processing agreement with us. The legal security of our clients is guaranteed. Use a double opt-in registration and send a confirmation email to make sure that only those who have registered for a newsletter will receive it. You receive 1,000 free email credits every month with our entry-level Lite Plan. You can learn more about our prices here.